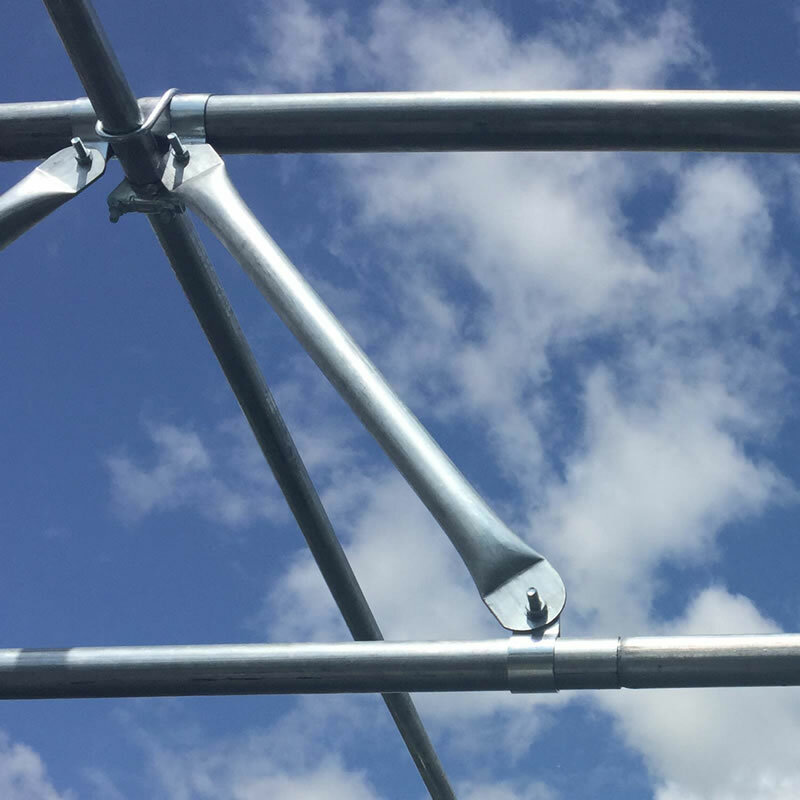 We sell a range of steel tube that we use in the manufacture of our range of Polytunnels and Fruit Cages. 25.4mm, 35.0mm, 50.8mm and 60.3mm diameter are available. Z35 Galvanised. For Tube Identification, the first two numbers will represent the diameter of tube in millimetres. The second range of numbers will represent the length of tube in centimetres. The letters at the end will then represent the end shape of Tube. F: Flattened - The end of the tube will be a rounded shape and the tube squashed flat together. There is also a drilled hole. S: Swaged - The diameter of the tubing is reduced at the end to enable it to slot together with another piece of plain tube. P: Plain - Normal tube end. Should the Tube Specification you require, is not listed, we also have a Tube Configurator where you can design your own bespoke tube. Rated 5 out of 5 based on 23 reviews. strong, effective, easy to install and use. Superb fruit cage, accurate assembly instructions, easily adapted to fit plot, and forms a strong structure. have bought before bought for another tunnel I have been given. All tubes supplied were well made, robust and matched descriptions. Sturdy and easy to secure! Efficient service, quick delivery. Will use company again. Look Good Quality. Time will tell. Now for the hard part but I am sure when its all put together it will be worth it. Thanks First Tunnels.